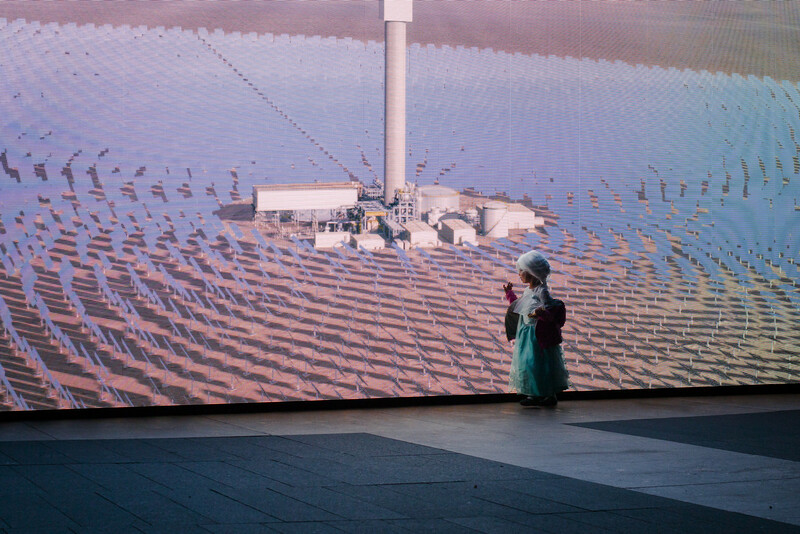 The world within the massive screen is a simulation, the girl stands outside looking in. This entry was posted in Photography, SciTech and tagged Art, costume, girl, halloween, john gerrard, Lincoln Center, night, nyc, outdoor, photography, simulation. Bookmark the permalink.